As cold weather sets in, the most important thing you need to do for your home and family is to make sure that your furnace is operational and safe. 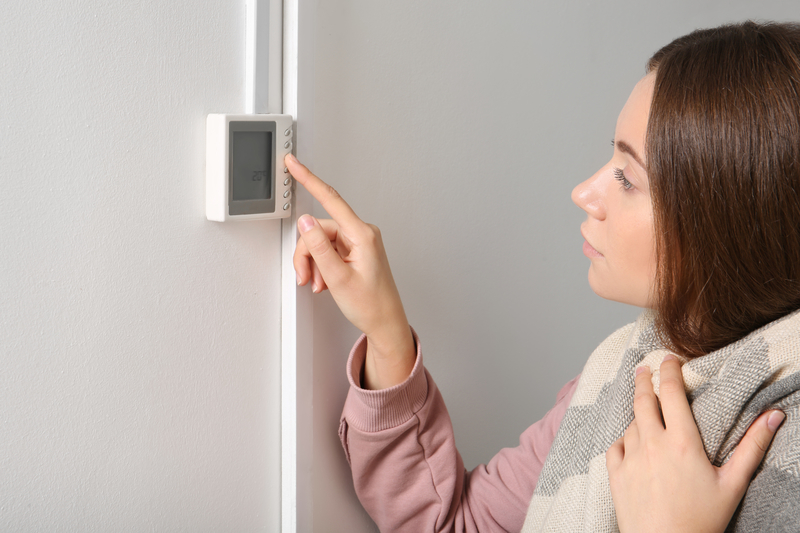 You don’t want to wait until you need to turn on the heat to find that your furnace isn’t working or, worse, find yourself without heat in the middle of winter when the temperature is at its lowest. You might think: “my furnace was working fine last year, so there’s no reason for it not to work now.” You couldn’t be more wrong, a lot can happen during the summer to affect your furnace. It could also been having some issues last year of which you had no idea! Your best bet remains to call a professional and have them inspect your furnace. Clean Your Furnace Before You Use It! One essential step you need to take when preparing your furnace for winter is cleaning it… or rather, calling HVAC professionals to really get the job done! It’s important that the vents and ducts are properly cleaned; otherwise, you and your family will be breathing dirty air all winter long. While you can easily clean the vents by yourself, the ducts are another story. To clean the vents, all you need to do is use the extension hose of your vacuum to remove the dust that has accumulated there. Our professionals at Fresh Air Furnace Services will help you with your ducts. Not only will they clean them, but they’ll let you know if they are in good working order, if a parts needs to be replaced, or even if there are droppings or other signs of vermin infestation. Give us a call today at 403-452-9528! Your furnace’s filters need to be change regularly. Check them every month to know when it’s time to change them. If the filter still looks pretty good, you can wait a bit before changing it; otherwise, you’ll be able to tell if it needs to be changed. When you call in Fresh Air Furnace Services for a clean-up and inspection, our specialists will be able to help you figure out the frequency at which you should be changing them and how. Changing them is really easy; there’s a slot in your furnace where the filter goes. Once you find it, you simply pull the old filter out and slide in the new one, following the arrows on the frame of the filter. A little trick you should consider, to save some money, is to stock up on filters during the summer. You can usually find good bargains on furnace filters during the warmer months! Don’t Put Anything Too Close to Your Furnace! Finally, but probably one of the most important points, is to keep the space around your furnace clear! Your furnace needs to have enough space for proper ventilation, without which it could overheat or even be a fire hazard. If while it was off you’ve stored some items in your furnace room, you should probably consider a new place for them. Not only can they impede ventilation, but they will also obstruct service and maintenance; make sure you have easy access to your furnace in case it needs emergency repairs. If you have to store some things close by, make sure to keep it well organized and to not store any of the following items near the furnace: laundry, kitty litter, cleaning products, and anything combustible! These are all fire or health hazards. Something else you need to look for is that nothing is blocking the vents and preventing proper airflow. A furnace is a wonderful thing and will ensure that your family is warm all through winter. Still, don’t forget that for it to work properly and safely you need to take care of it. Call Fresh Air Furnace Services to clean and inspect your furnace, change your air filters, and make sure to keep the area near your furnace organized! If you follow all these steps, you’ll have peace of mind (and warmth) all winter long.